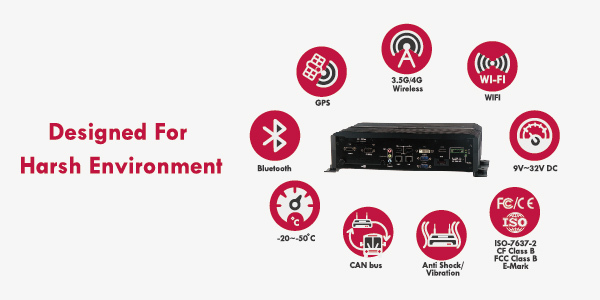 Acrosser, the leading industrial computer designer and manufacturer is pleased to announce the release of its fanless in-vehicle computer AR-V6100FL features Intel Core i7 technology. AR-V6100FL adopts Acrosser’s expertise of design for in-vehicle applications. These designs include smart power management, high efficient thermal module, and diversity of integrated communication technology such as CAN bus, Wi-Fi, 3.5G wireless WAN, Bluetooth and GPS.